For a complete cultural food experience in Denmark, head over to Papirøen Copenhagen Street Food. From the outside, it looks like an abandoned warehouse, but inside it is food truck heaven with cuisines from all over the world! Since living in Copenhagen, we have gone several times in warmer and cooler weather; and while both are great there is a very large outdoor seating area on the canal with exquisite views of the the Royal Residences, Royal Library, and the Opera House that is best enjoyed in warm sunshine! These outdoor areas can also be utilized during colder temperatures, but definitely stay near the heat lamps! There is also plenty of seating indoors as well. The photo above is taken from the outdoor seating area at Papirøen Street Food–how beautiful?! Once inside, you’ll snake around all the different rows of food trucks until you find one you like! To name a few, there is Mexican, Italian, Korean, Chinese, Brazilian, American, Mediterranean, Middle Eastern, Danish, and even vegetarian options! The prices range from 80-120DKK. In addition to food, there are trucks serving coffee, cocktails, beers on tap, and desserts! Our personal favorites include the Brazilian churrasco and the Chinese crispy duck, and of course- Oreo Cheesecake! Also, it’s a popular place to go during happy hour, with a live DJ and music pumping through the whole building. It’s definitely a locals place to go, but shouldn’t be missed by tourists visiting Copenhagen! The view on the canal, there is much more not pictured! Copenhagen BBQ, not the same as Carolina BBQ! Going inside and taking the guided tour is obvious, but there are other things you can do on the grounds of the Buckingham Palace, see photos and captions below for some insiders tips! No photos are allowed inside, but once you exit you will see The Garden Cafe. Take a moment, have a tea and cake and relax overlooking the perfectly manicured grounds. Once you leave The Garden Cafe, don’t exit the grounds, walk around the gardens on a self-guided tour and take in the beauty of the palace and its surroundings. And, before you leave, take a moment and buy a single serving of Windsor Castle ice cream. Have a seat on a bench and enjoy, whats the hurry when your surrounded by such beautiful nature?! Usually, wine tours and tastings are booked in advance and can range anywhere from €40 to €150 per person, depending on the included services. We, however, decided to take the impromptu route and book one the day-of, while hoping for the best. We thought it would be cool to check out the vineyard that produces the wine we were planning to serve at our wedding, so we called up a Frescobaldi vineyard nearby, Castello di Nipozzano. We got incredibly lucky! We were told that on Saturday they don’t have tours, but we were more than welcome to stop by the shop and purchase and/or taste any open bottles they might have available! So, we hopped in our rental car and drove 20 minutes to the winery and were blown away with what happened next. We walked in and were shocked to find the store COMPLETELY EMPTY! I mean, it was a Saturday after all so we thought it would be packed! We introduced ourselves and were told to sit down; next thing we know we were served with wine glasses, then the bottles started coming! We ended up leaving with 4 bottles for the remainder of our trip, and even sent 6 bottles back to America!! It was still daylight, so once we left, we walked off the buzz and explored the grounds which is home to a castle as well. It was a perfect evening and was SO much more than we ever thought we would experience! OH, and we also found our wedding wine 🙂 Prego! Be sure to check out the gallery below…And if you’re looking for other things to do in Italy, read this info about Rome. Tuscan views are to die for! We’ve told you about Mons Klint and also our new home and things to do in previous posts, so I’ll add to these and tell you a little about Roskilde, Denmark! A short train ride from Copenhagen is the town of Roskilde, most famous for its UNESCO-listed gothic cathedral and the Viking Ship Museum. The Viking Ship Museum was probably our favorite, as it features five 11th-century viking ships that were excavated and pieced back together with great care, they now are on display at this museum. In addition, Roskilde also has pedestrian-friendly streets filled with great shopping and restaurants to complete this charming little town’s look! Read This Before You Book a Budget Airline! I once found a flight from Copenhagen to London for $16. Yes, $16. “How?” You might ask. Easy; Ryanair, EasyJet and Wizz Air to name a few, are airlines that can get customers to and from various places in Europe for very low costs, it almost seems surreal. So, what’s the catch? Well, as an American, our version, if that, of “budget airlines” might be Southwest, as it usually is a great value. No cost for bags, relatively spacious seats, comfortable flights, the only restriction is the amount of airports it flies into, and it’s mainly domestic. But, otherwise a very great value for the price paid. In Europe, totally different story. We bought most of our tickets to and from various cities before we moved to Copenhagen, under the impression that we were getting a great value for all of the flights we were booking! All of our friends who had been to Europe and done the same thing told us it was unbeatable, so we didn’t think twice. Prices can be anywhere from $50-$250 roundtrip depending on time, dates, locations, etc. Some airlines (like EasyJet) limit the number of carry-ons, personal bags, etc. to just one. So make sure you read all the rules on your ticket before you board, they will catch you! All in all, budget airlines really are a “you get what you pay for” service. If you are going on a quick flight (<1 hour) these small inconveniences aren’t so bad, but flights longer than that like from Copenhagen to Croatia should probably be weighed with a pro and con list of comfort vs. price…Everyone has a different preference! What are your thoughts on European budget airlines? …Get to London ASAP and follow the below directions, you will be ecstatic you did! 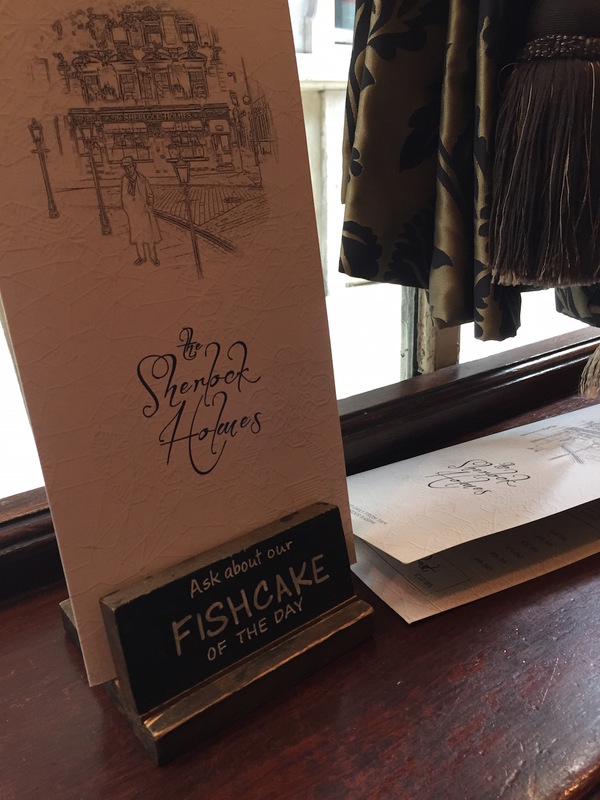 As huge Sherlock fans, we stumbled across this English Pub around 4pm, exhausted and tired of walking, so we took this finding as a sign from the heavens that we should rest our feet 😉 We walked in and instantly felt like we were in 221B, the pub feels like what 221B Baker Street would be in pub form. 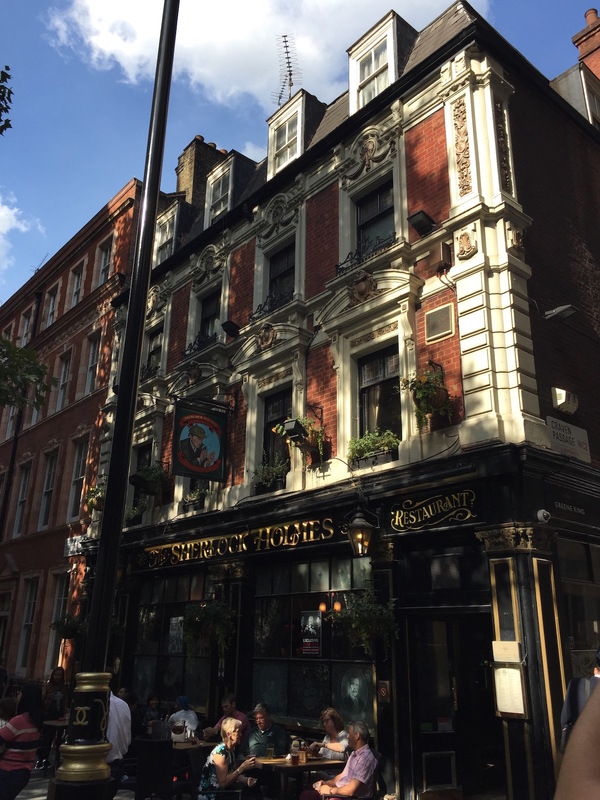 [Secret: It even has a replica of the living room upstairs] We ordered said pints and then another….needless to say, this little pit stop made the British Museum a lot more entertaining!! It was just so good that we went back for lunch the next day. 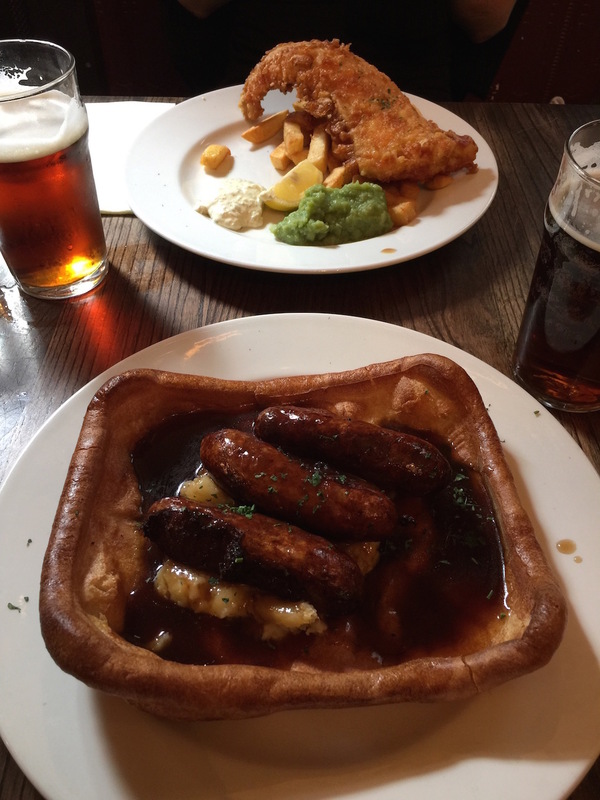 We ordered the “Hound of the Baskerville Toad in the Hole” (a traditional English meat and potato dish) and the classic “The Retired Colourman’s Fish & Chips”. Clever names! Check out the rest of the brilliant menu items here! 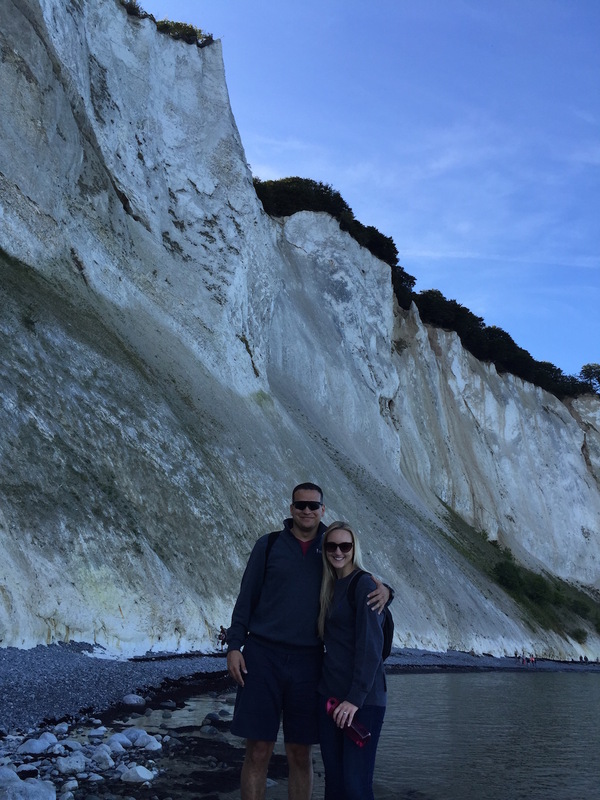 There are also some other things you can do at Mons Klint as well! Read more about it here! Copenhagen’s bicycle culture is world famous and has been strong for over a century, making Copenhagen the Bike City. It’s very apparent, if you have ever visited, that biking is a way of life for many, many Copenhageners. As an American, the thought of the American people biking in the way the Danes do is so unfathomable, as a result I have become slightly obsessed with passing bicycles…EVERYWHERE…. ***Disclaimer, I had a bike and was so excited to be in a city where I could ride virtually anywhere! This was until I fell victim to the popular crime in Copenhagen that is bike theft…..